#Python’s Most Popular 2D plotting library. #Produce dozens of different types of plots and charts with just a few lines of code. #Easy to plot NumPy arrays, Pandas data frame, and Python lists. #PyPlot module provides a MATLAB-like interface. #Gives you full control of line styles, font properties, axes properties etc. #Create a Blank Chart, then add one element at a time to it. #On MatPlotLib website there are many a lot charts along with sample Code. #2 Points having x and y values, add title and axis labels. #3 Change Figure size, plot blue dots, set x and y axis scales to 0–5 and 0–150 respectively. plt.annotate(‘cube it’, (7, 100)) #(7, 100) is the location where you want the annotation to be. ‘Magenta *’: np.random.rand(20)} #We have created a dictionary. 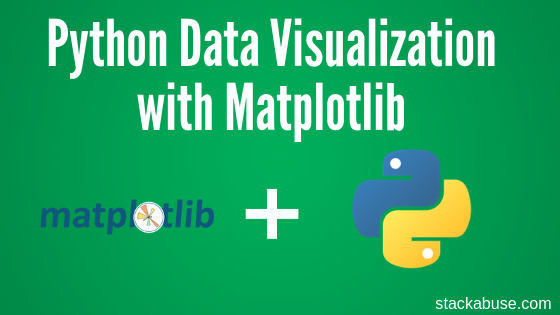 df.plot(style = [‘bo’, ‘g-’, ‘m*’, ‘rx’]) #dataframes are able to call the matplotlib library directly. #6 Time Series — One Year of Random Floats. x = np.random.rand(N) #values between 0 and 1 which are floating point. #This changes the axis labels for ticks but the values are pointed as they were plotted without this. #So we are not using this here.